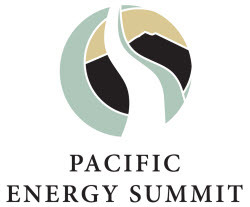 Each year since 2009, the National Bureau of Asian Research (NBR) hosts the Pacific Energy Summit, an invitation-only event that “convenes leaders from government, business, and research to explore innovative solutions to the dual challenges of rising energy demand and climate change. By bridging the commercial, public, and nonprofit sectors, the Summit informs policy and inspires collaboration to help support sustainable economic development.” This week, NBR is co-hosting the 4th annual Summit with the Asia Pacific Foundation of Canada in Vancouver. The theme of the Summit this year is “Forging Trans-Pacific Cooperation for a New Energy Era,” and dialogue will focus on best practices and solutions for successfully meeting Asia’s energy needs while promoting environmental stewardship. To inform and foster discussion, NBR commissions working papers on key topics of relevance to the Summit. I had the privilege of being invited to co-author – with a colleague and associate of mine, Brian Yates – a paper on social licence. Our paper examines the nature and attributes of social licence, and analyzes its growing importance as a critical success factor for resource development. You can access the paper here. I welcome feedback – please click on the “leave a comment” tag to the left of this post!